Jennifer Salvato Doktorski once took a cross-country road trip in a celery green Oldsmobile. She’s a freelance writer who has written articles and essays for national publications, including Cosmopolitan. She lives in New Jersey with her family and their dog, Buffy (The Squeaky Toy Slayer). 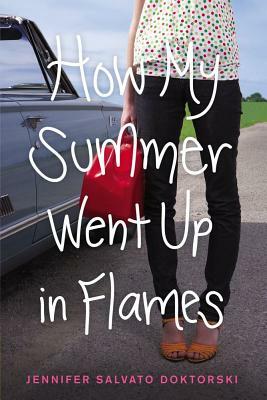 How My Summer Went Up in Flames is her debut novel. Visit her at JenDoktorski.com.